There is something so satisfying about getting organized and starting fresh in the new year. All January I have been sharing some of the ways I have streamlined routines and processes in my home. 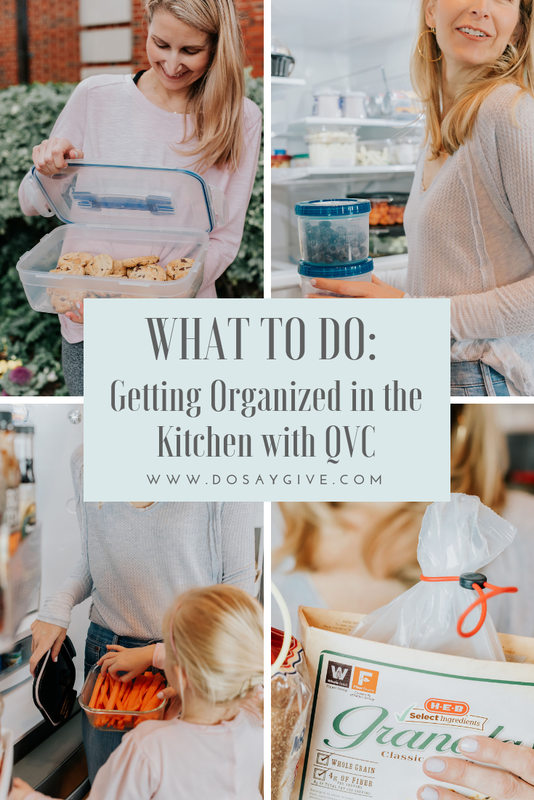 Today I am sharing how I got a lot more organized in the kitchen! I have been compensated for this post by QVC. Thanks for supporting the brands I love. 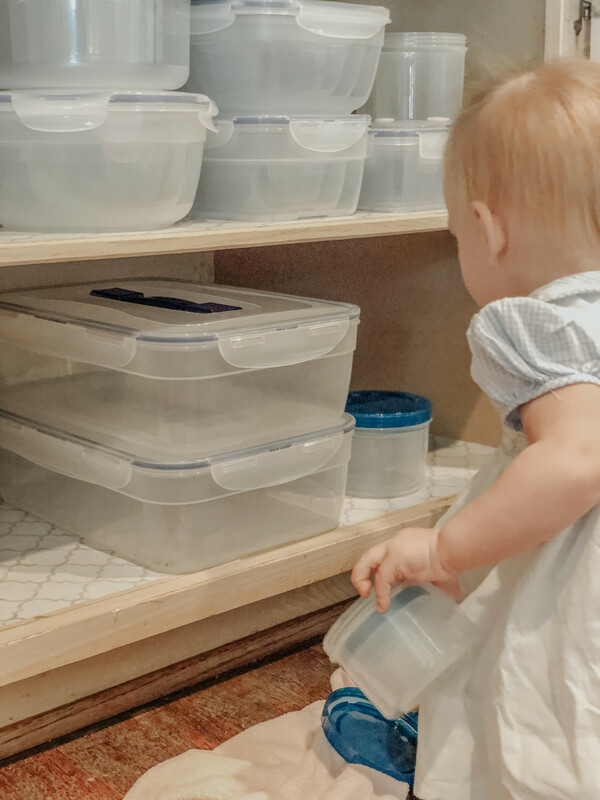 I don’t know what this says about the state of my life, but one of the highlights of my January was getting rid of all the old and random plastic food containers we had amassed and replacing them with all new Lock & Lock storage sets from QVC. 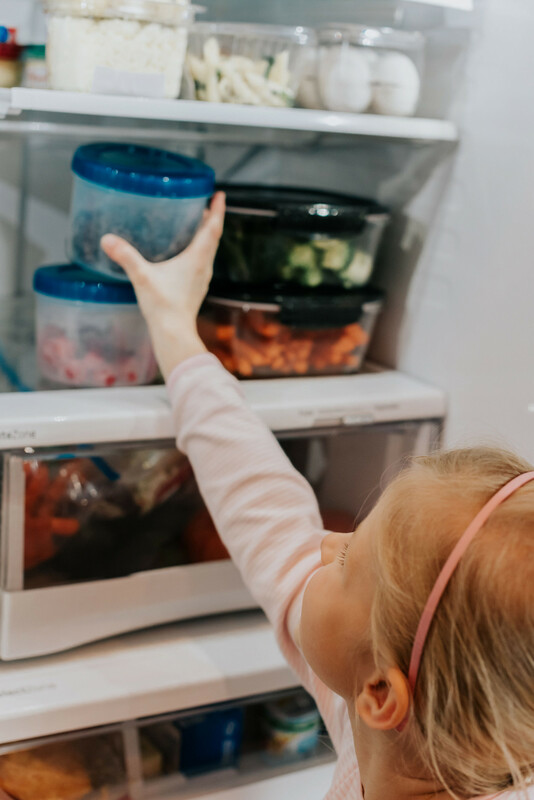 Of course, it made my type A husband so happy, but I was surprised how much my children loved getting in on the idea of a more organized kitchen. Lock & Lock containers are awesome for so many reasons. First, they truly snap lock so spills and leaks are nearly impossible. Second, they stack inside each other for easy storage. “Nestable” is the word they use. Not only is it visually appealing, but this system makes it so much less likely to loose lids. 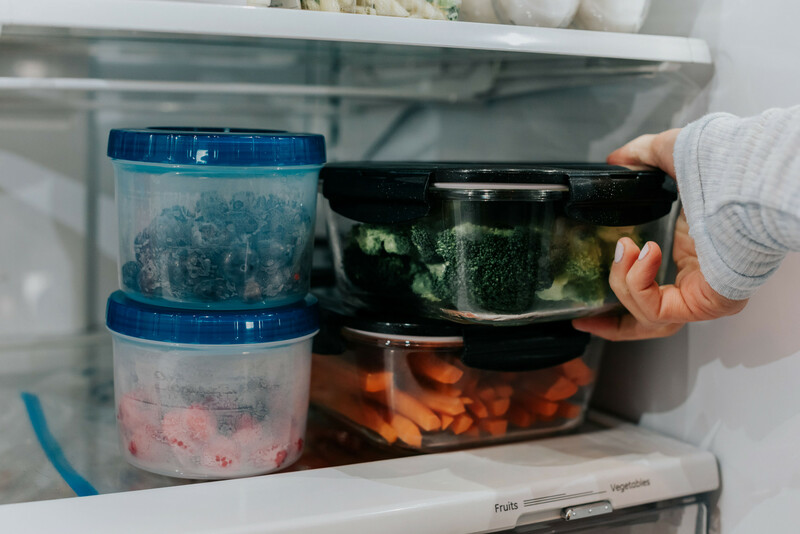 And, third, all Lock & Lock containers are BFA-free and dishwasher, microwavable, and freezer safe. Yay! 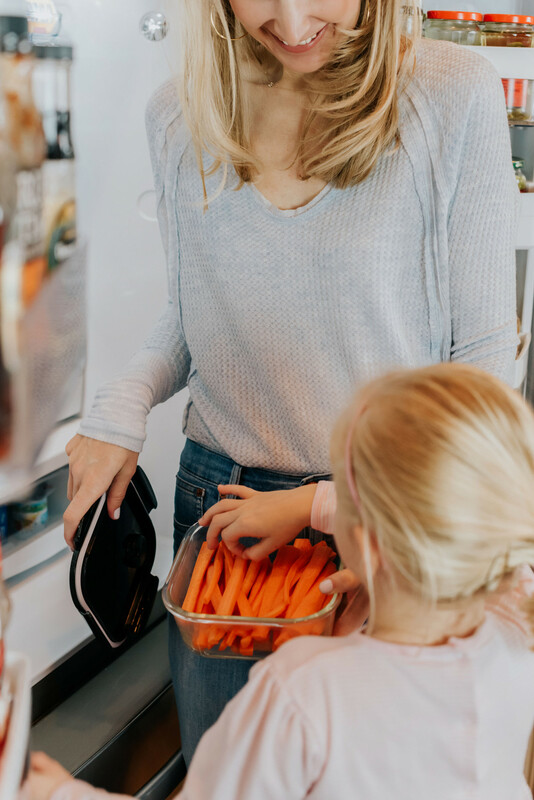 I shared in a recent Motherhood post how on Sundays I order groceries online for the week. (I “meal plan” a few months at a time so ordering is quick and easy!) Once the groceries arrive my husband and I wash all the produce and chop up the fresh veggies. 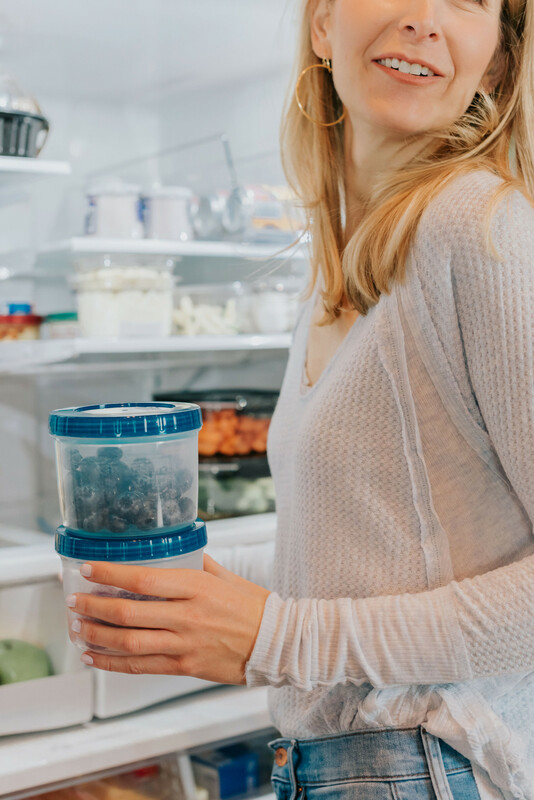 Having Lock and Lock containers in the fridge full of washed and sliced carrots, celery, broccoli, cucumber and berries makes it much easier for my children to grab healthy snacks during the week. I always have hummus and dressings on the ready so they can make their own snacks. It is such a timesaver not just for snacking but for making lunches as well! Now that I have plenty of Lock & Lock containers I am going to try to do more meal-prep on Sunday. Like chopping onions and even cooking bacon. 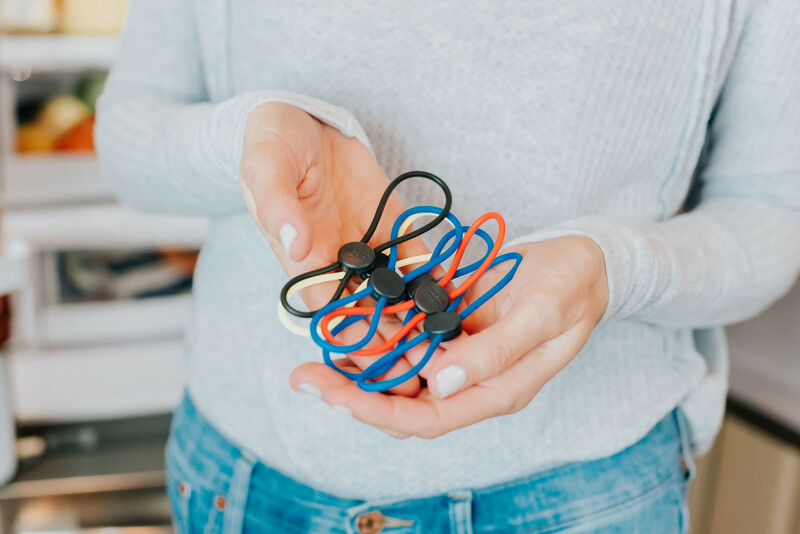 One more awesome little product I was gifted that you will love passing along to friends are these Kuhn silicone food ties. (Watch the video clip on QVC.) I was a tad skeptical about the hype, but they are legit. 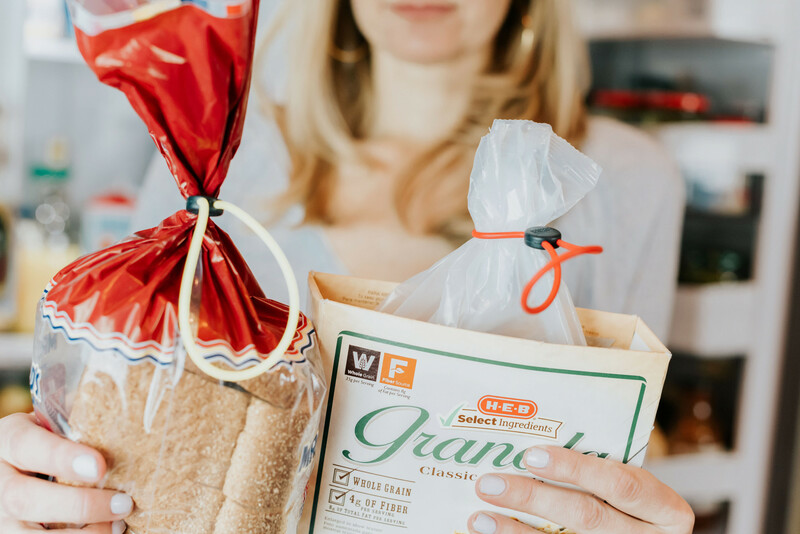 You can close up bread, cereal, chip bags, just about anything with these ties. And they are so easy to use – even young children can do them. I need to remember these for my next Favorite Things post! Use TEN4U to get $10 off at checkout if you want to try any of these great organizational products for your kitchen. 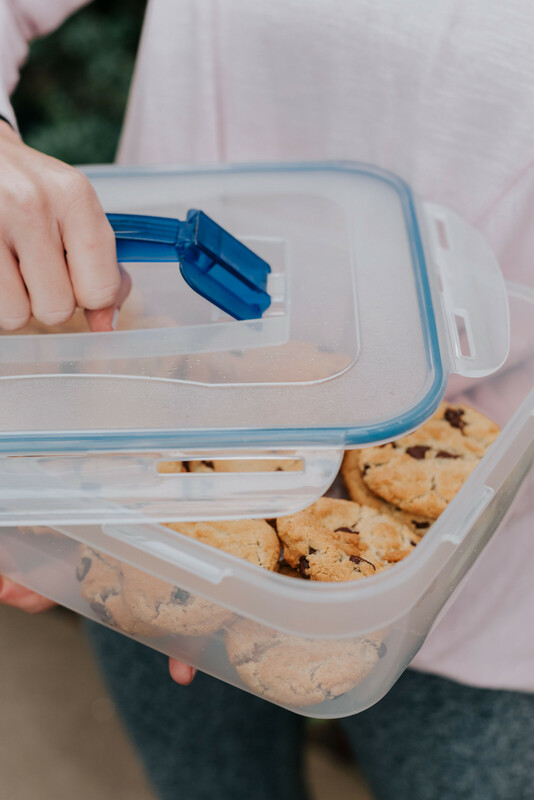 Have you tried the Lock & Lock containers? Share how much you love them below! Pin this post for the next time you are looking to get organized! Hi Lee! I am fascinated that you meal plan for months at a time. I have never been able to find a groove with meal planning and am always trying to get insight how people make this work. Have you ever shared any of your monthly plans? I’d love to see more! No I need to! Really they are not fancy though.See this post for how I do it but basically I use cookbooks (since I haven’t had a lot of luck with online recipes) and a lot of crock pot recipes for weeknight meals! Honestly, if I “try to hard” with the meals, it’s too stressful. So simple is better for me and generally my girls prefer that, too:).